Ringle is a blend of modern yacht technology with timeless values from the hight art period of yacht design, reminiscent of the first half of the twentieth century. 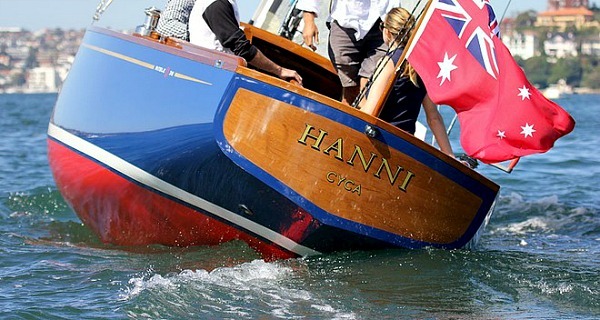 The designer, Andy Dovell, an American trained naval architect who has been seminal in modern Australian yacht design from America’s Cup challengers to fast blue water racers, was asked to create a yacht of classic beauty to turn heads but also go like the blazes; a yacht that would constantly surprise and delight from every angle; a yacht that would inspire pride of ownership… even love; a yacht that is different! 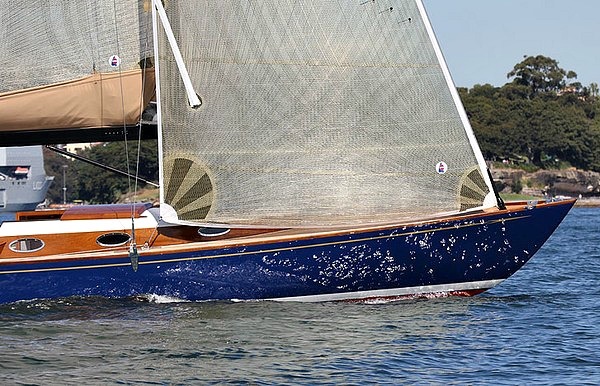 Ringle clearly owes much to the genius of the Herreshoff family dynasty but she gives little away to modern hull design, save minimal loss of waterline length to create the elegant overhangs. 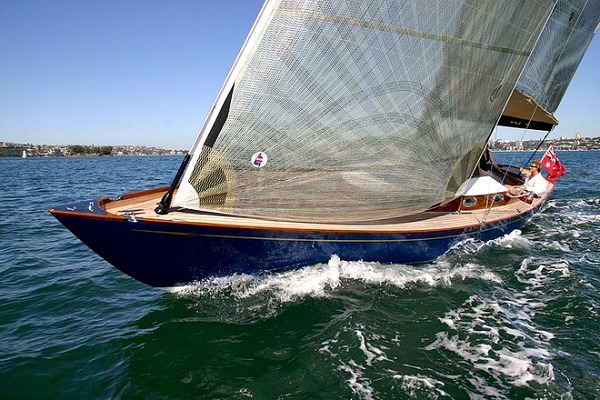 A close look at the scantlings evokes America’s Cup values – she is lean but straight sided for increased stability, the eye is drawn away by the utmost care and subtlety of the sheer, below water she is radical modern technology and with a light weight carbon fibre rig and formidable sail area her performance potential is exceptional. Honesty and craftsmanship are the principles of the construction. 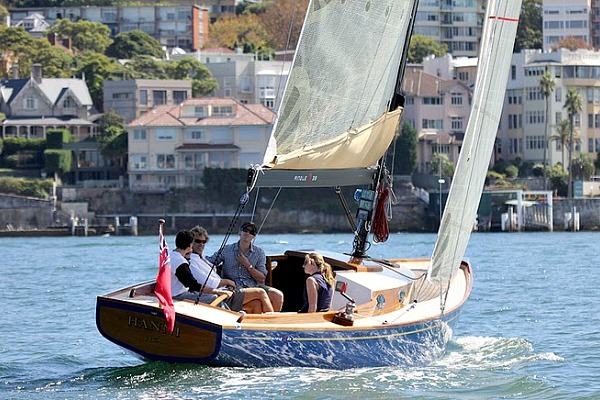 This is a wooden boat, albeit a light one. 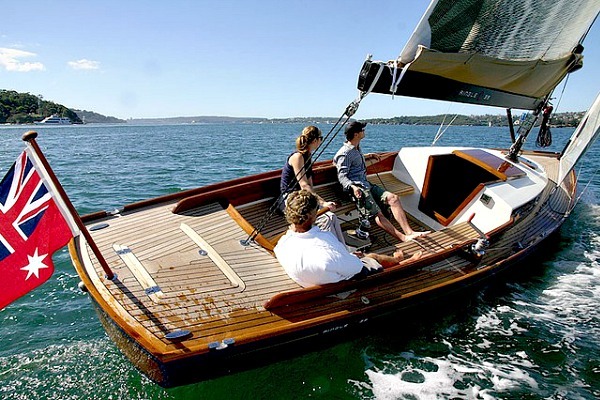 There are no linings or bulkheads inside, only elegant touches of fine but lightweight natural timber finishes, so there is an uninterrupted view forward to the bow showing all the functional aspects of sailing yacht fitted with care and attention to detail. 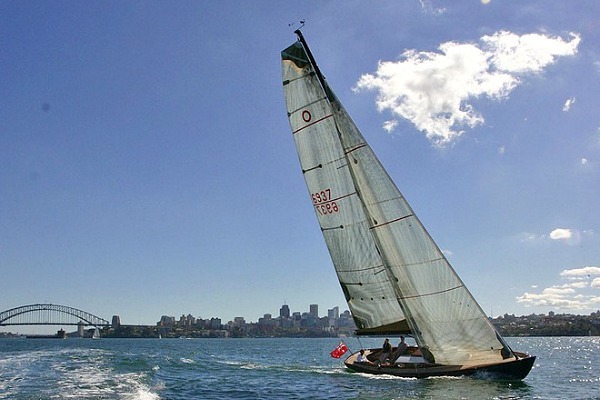 Accommodation and amenities are comfortable light and airy but of the simplest kind, making no concessions to ‘houseboat values’, This boat says sailing is the purpose. Ringle will fit, along with her two-piece mast and removable keel, in a high top container for ease and economy of transportation, and is supplied with a rotating cradle on rollers for permanent or occasional dry storage.